Screen effects and particle to simulate the pain of your character in battle. 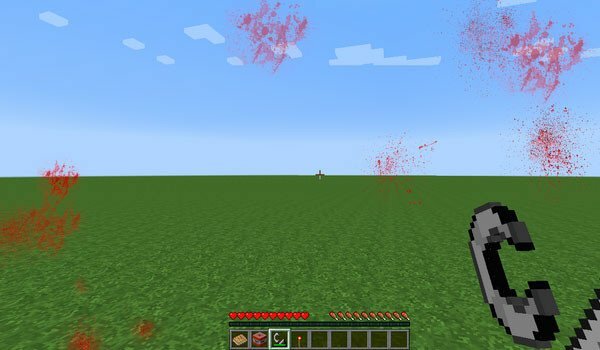 Realistic Pain 1.8 is a mod that aims to convey a greater sense of realism to the player Minecraft, when the character suffers damage through various graphic effects on the screen and the addition of new particles in those occasions when your character experience pain. With this mod installed, red spots appear on the screen randomly, simulating blood stains. When your character is wounded appear reddish stains on the floor. 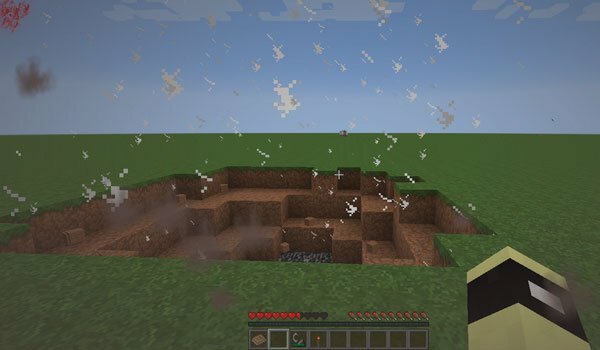 Also in cases of explosions a brown haze screen appears, simulating dust hitting the face of our character in Minecraft. Also, if we want we can set all these effects through a screen customization menu, which will access after pressing the “P” key. How to install Realistic Pain Mod for Minecraft 1.8? We have it up and running!